All the Secrets to No Touch Knockouts Revealed! The mysteries and controversy of the No Touch Knockout is something I swore I would never write about, but I did! 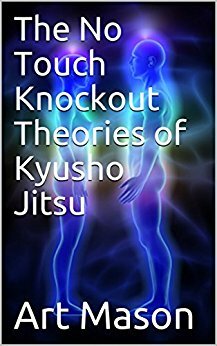 I am releasing all the information I know about the most controversial aspect of Kyusho Jitsu, No Touch Knockout Theories in eBook form. This will be the definitive guide to understanding how they work, why they work, who they work on and their limitations. Risks and dangers of no touch. In this revolutionary eBook I will explain in details how you can develop the ability to perform these amazing knockouts. I also suggest as a companion to these eBook to purchase a copy of my No Touch Knockouts Video Course linked here. DON’T WANT YOU TO KNOW! Sign Up and Get Your Copy NOW!